The new feature will encourage team play in Star Wars™ Battlefront™ II, starting later this month. Playing together is at the core of many multiplayer experiences, and Star Wars™ Battlefront™ II is no exception. Whether it be with a single companion in a smaller-scale game mode such as Hero Showdown, or in a squad in Galactic Assault, venturing across the galaxy of Star Wars Battlefront II with friends definitely adds another dimension to the fun. To enhance this experience in certain game modes, on September 25, we’re introducing the improved Squad System to Galactic Assault and Strike. Learn more about how it impacts team play below, and read up on all the details – including on how groups are formed – in our latest Community Transmission. A mantra while developing the improved Squad System has been to enable play with others in a more meaningful way. So, what exactly do we mean by that? The essence of it is to make it easier to stick together and battle as one unit. Attacking, defending, and capturing objectives is more effective, and arguably more enjoyable, if you’re doing it together. Adding the ability to spawn on squad members allows you to regroup much faster, and it ultimately supports your joint effort in dominating the battlefront. In the multiplayer modes of Star Wars Battlefront II, you’re always playing in a team. This update is all about encouraging playing as a team. One of the first thing we expect players to experience is how the improved Squad System increases the general pace of the game. When you’ve been eliminated, it’ll reduce the time spent running long distances to get back into the action. Instead, you’ll be able to spawn close to one of your squad members who isn’t under an immediate threat. The function is streamlined in such a way that it enables you to choose which squad mate to respawn next to with a simple camera toggle. With players spawning closer to the action and objective, we’re aware that game balance will be impacted. An important note is that continuous tweaking related to the feature will occur as we gather feedback and analyze game data and player behavior. 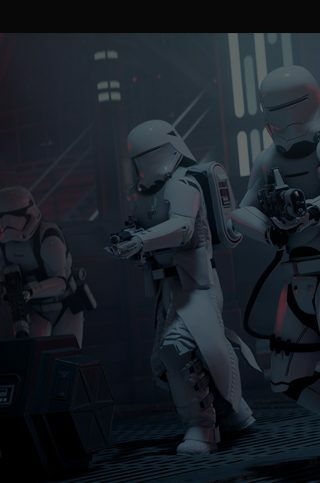 We hope that players will enjoy the improved Squad System when it arrives on September 25, and meanwhile, please share your feedback and join the discussion on the official forums, and keep your eyes on this space and EA Star Wars™ on Twitter, Facebook, and Instagram for more Star Wars Battlefront II related news.